She’s been in the public eye a helluva lot lately, so what can we tell from a Miley Cyrus Astrology Analysis? Let’s check out her Star Sign Style! A successful actress, singer and teen idol, Miley found fame young. Along with so many others, the Disney channel launched her with her stint as school-girl / pop-sensation combo, Hannah Montana. Miley’s Sagittarius Sun sign really shines. What does that mean for her fashion choices? And why don’t all Saggy’s straddle a wrecking ball?! See below! Sagittarius loves bright colours, bold patterns and cheerful fashion choices that match their enthusiastic, bubbly nature. Miley’s style is so Sagittarius that she makes a fantastic ambassador of Saggy aesthetics! Quite often, this signs outfit choices will verge on a clown-like appearance (baggy pants? Check, crazy colour combos? Check! ), they love making other people smile and Miley (a nickname derived from ‘smiley’,) has one of the biggest beams I’ve seen! Freedom, of both the physical and mental nature, is a key theme for Sagittarius. This is the sign of the adventurous traveller, who steps out into the world in search of higher knowledge and wisdom. This philosophy is clearly important to Miley, too, as she seems to have broken free from her identity during the Disney years, and pushes back against any comment on her image in the press. Added to the idea of ‘freedom of speech’ is the Sagittarius style of communicating rather honestly and bluntly, it’s no surprise her responses come thick and fast, perhaps without careful thought or planning! Did you know that the body part ruled by Saggy is the thighs? I’d say it’s one Miley’s favourite features, as she’s frequently seen in teeny tiny hot pant, showing off her enviable pins… Read More In: Sagittarius Beauty – Thigh High! What’s The Mood Of The Moon? The Moon in a persons chart is an indicator of what they need; Mylie’s Moon in Scorpio suggests an emotional intensity, and a basic need for transformation. The Moon is also sitting close to powerful planet Pluto, adding to the themes of rebirth, which are provocative, sexual and transformative. 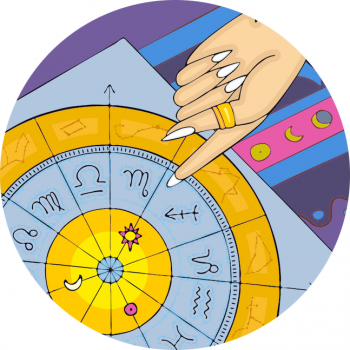 We’ve also got communication planet Mercury here, so there’s really a lot of energy sitting tightly in the Scorpio-zone! Where’s Venus? What’s She Up To?! The pretty planet of love, romance and feminine charm is expressed in Miley’s chart through the constellation of Capricorn. With Venus in Capricorn she might well take a mature approach to relationships, realistic and a little cautious rather than the type to fall head over heels at a glance. These people are incredibly hardworking, disciplined and ambitious, even business-minded. They might be modest with their make-up and have a very good bone structure.